Cypress Grove (CA) took home several awards, including golds for Humboldt Fog, Purple Haze and fresh Chevre, and silver for Truffle Tremor and Fog Lights. Marin French Cheese Co. cleaned up with seven medals, probably the largest single winner outside of the major commodity cheese companies (see Sorrento and Sartori). Smaller farms that stood out include Rivers Edge Chevre (OR) with two silvers, one for Sunset Bay (see below for the second); a gold for Estrella Family Creamery‘s (WA) Grisdale Goat; Bellwether Farms (CA) with silver for Carmody and bronze for Pepato; silver for Uplands Cheese Co. (WI) Pleasant Ridge Reserve; and gold for Crave Brothers (WI) Mascarpone. In small farms outside the traditional cheesemaking states: gold for Haystack Mountain (CO) Camembert; silver for Firefly Farms (MD) Cabra LaMancha; and bronze for Sweet Grass Dairy (GA) Asher Blue. For “extra mature traditional cheddar,” Cellars at Jasper Hill earned silver for Cabot Clothbound Cheddar and Fiscalini Cheese Co. (review later this week!) a bronze for Bandage Wrap Cheddar. And perhaps the most exciting categories, new cheeses (first marketed after 01/10/2008), a silver went to Rivers Edge Chevre‘s Astraea (pictured above) and a bronze to Willow Hill Farm (VT) for Vaquero Blue — two excellent cheeses I was able to sample this summer. Click here for the full list of American winners, and here are the official winners lists. Prairie Fruits Farm — Illinois’ farmstead goat dairy whose cheeses were served at the Obama inauguration — is fighting developers from building a road through their farm; residents of Illinois are asked to sign their petition to stop the development. Pregnant Woman Denied Cheese: Jill uncovered this story from the U.K. this week, prompting outrage from our cheese friends on Twitter. 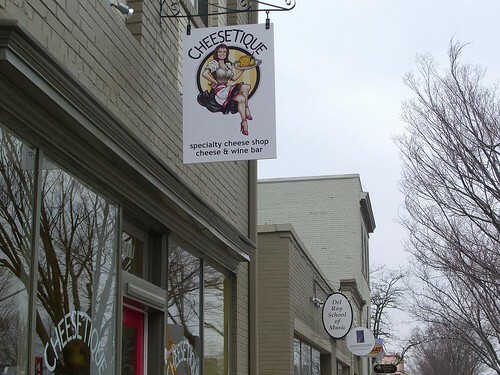 Locally, in the Mid-Atlantic: WeLoveDC recently ventured across the river to explore Alexandria’s Cheesetique. (Astute readers may note that the picture, by yours truly, is actually of the old storefront.) 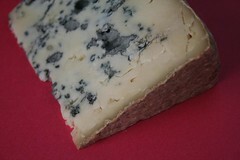 Red, White & Bleu in Falls Church is now carrying Jamie Stachowski’s charcuterie, perfect for pairing with local cheeses. Locally, in the Upper Midwest: A Simple, Good and Tasty Local Foods Dinner in Minneapolis this weekend featured Minnesota’s own Shepherd’s Way sheeps-milk blue cheese, among other scrumptious dishes. And the Wisconsin Originals Cheese Festival, coming up Nov. 6-7, is already sold out! On the Cheese Blogs: I missed out on meeting the blogger from La Vie Soleil when we attended the same event recently in San Francisco, but was happy to learn about her from Bryce’s recap at Canyon of Cheese. Her home cheesemaking experiments are truly something to aspire to. 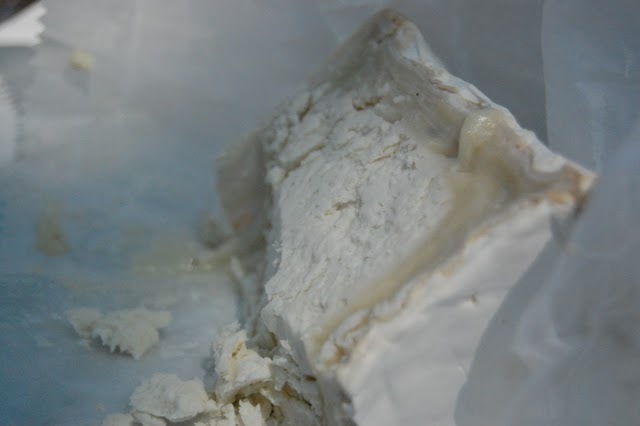 Check out the Camembert she recently took to France to share with family … gorgeous! 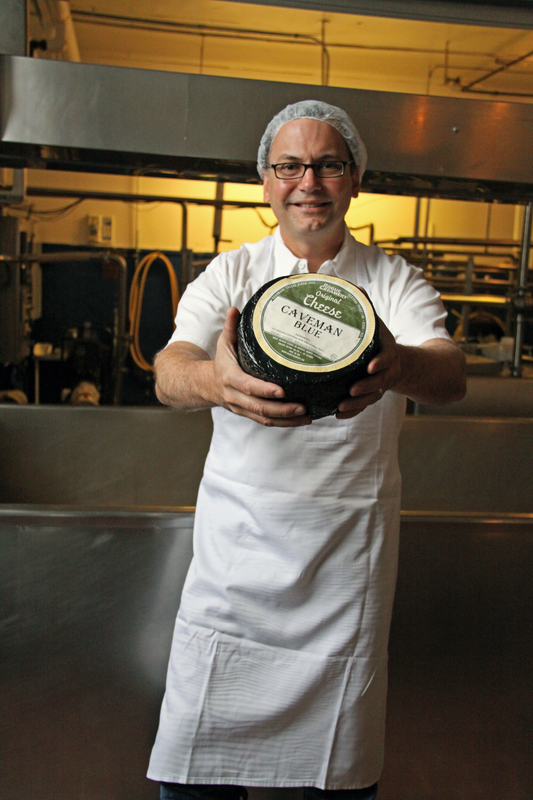 Calling all Cheesemakers: got news to share? email dccheese @ gmail.com to be included in our weekly news highlights. * Be a Cheesemaker: We thought Jasper Hill Farm was clever with their luring in of eager cheese loyalists as willing labor; the Oregon Tourism Commission takes it a step further and uses hard labor at Rogue Creamery as a contest reward. We kid… who wouldn’t enjoy a behind-the-scenes look at Oregon’s most award-winning creamery plus a chance to get your hands dirty making cheese-filled truffles next door at Lillie Belle? Submit a video by next Friday, September 18 to enter to win this or one of the other “Cuisinternships” offered. * NY Cheese Cook-off: In Brooklyn, NY, intrepid cooks will face-off this Sunday, September 13, in The Brooklyn Cheese Experiment, a cheese cook-off and home brew competition. Aside from the potential fame and glory of winning, a portion of proceeds from ticket sales will benefit Ovarian Cancer Research. * A Buffalo Taleggio? You heard it here first: Taleggio is the in cheese for fall. Janet Fletcher declares Quadrello di Bufala, a new buffalo-milk Taleggio-style cheese from Lombardy, a “must taste” cheese, and Tia Keenan concurs, describing it as “faboosh.” Have you gotten your hands on it yet? Let us know! 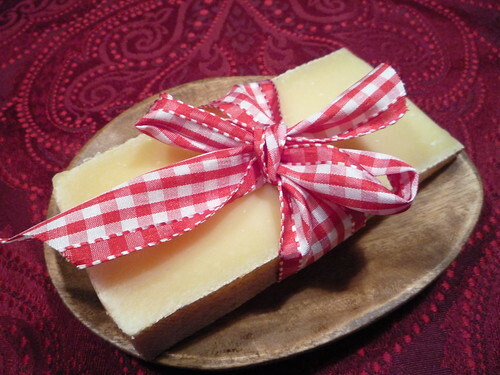 * On the CheeseBlogs: Welcome to The Cheese Freak! The newest blog to join the caseosphere, The Cheese Freak (@thecheesefreak on twitter) has launched a project to chronicle himself and friends geeking out over cheese via video posts. * Briefly Noted: The fall issue of Culture is on the newsstands, or at your local cheese shop, and looking fabulous; and join us in wishing Cheesetique in Alexandria, VA, a happy 5th birthday! got news to share? email dccheese @ gmail.com to be included in our weekly news highlights. I don’t watch Conan O’Brien much anymore, so I don’t know if he still does that “If They Mated” bit where he merges pictures of celebrities to see what their children would like. But if we played the “If They Mated” game with cheese and paired up Parmigiano-Reggiano with Cheddar, you’d get my cheese of the week – Piave Vecchio. Is this a good thing, you may ask? Oh, yes. Piave Vecchio all dolled up for the holidays. This mighty tasty cheese has a sweet, slightly grassy flavor that reminds you of the famous Italian grating cheese. But unlike Parmigiano-Reggiano, which is usually cut into rough chips, Piave Vecchio has a Cheddar-like consistency that can be sliced with ease. It also has a few crystals that make a delightful crunch in your mouth – not a ton, but enough to surprise you every couple of bites. An aged cow’s-milk cheese, Piave Vecchio would be a distinguished addition to your holiday cheeseboard – it’s easy to enjoy, easy to pair with dried fruits and nuts and, unlike Parmigiano, you don’t need a chisel to cut yourself a piece. Pour a glass of fruity Merlot and go to town! It’s also great shaved on green salads (dress it with just lemon and a really good olive oil) or atop a pile of pasta. 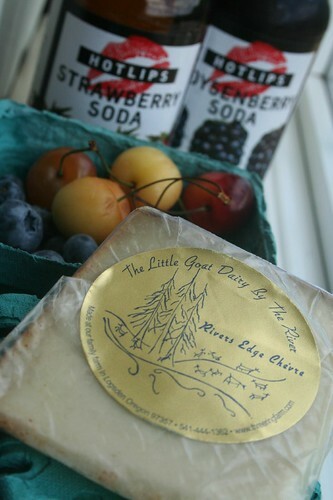 Piave Vecchio is also a favorite of one of our favorite cheesemongers, Jill Erber of Cheesetique. 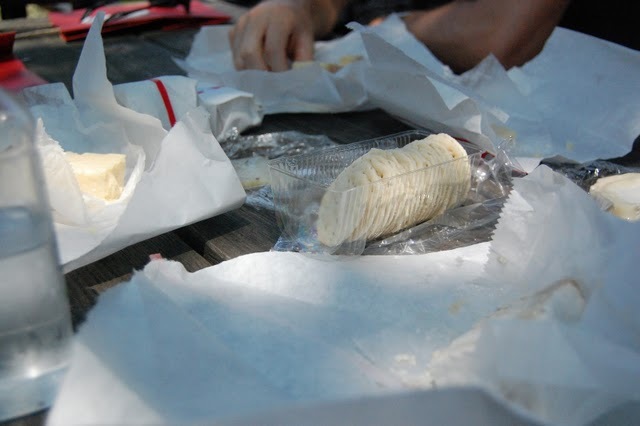 For Jill’s take on “the easiest-to-prepare hors d’oeurves or snack in history,” check out the June 2007 Cheesetique e-newsletter. Most recently, I enjoyed the samplings at the fall class, “Love ’em or Leaf ’em.” Some of these cheeses were ordered just for the class, so it was a special treat to enjoy them. 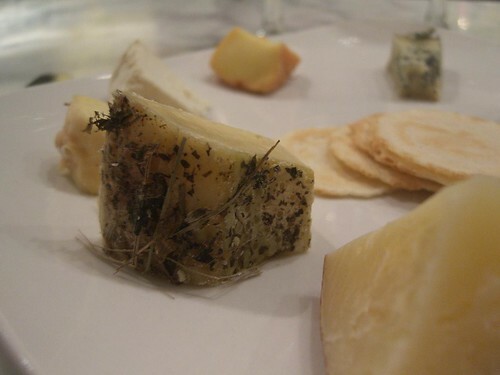 A favorite was the Vento d’ Estate, an Italian cows-milk cheese that comes wrapped in a thick layer of green hay. The hay imparts a musty, grassy aroma and flavor to the cheese. Cheesetique is not the only cheese shop in the area, so as the challenge goes on I will branch out a little and report back on some of DC’s other fine cheese cases. But if you are local, you really must make a point to stop in for a panini, cheese tasting, flight of wine or just some personal consultation with DC’s top cheesemongers. Cheesetique is at 2411 Mt. Vernon Ave., Alexandria. 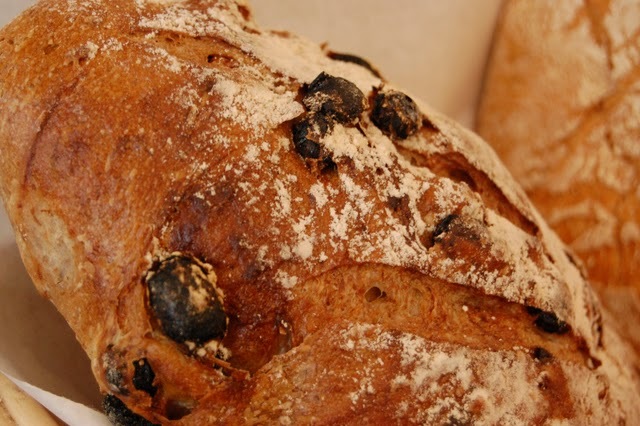 They open at 8am on Saturdays during the Del Ray Farmers Market season, stay open till 10pm Friday and Saturday nights, and are closed on Mondays. If you already know and love Cheesetique, why not join the fan club on Facebook? See you in the shop!